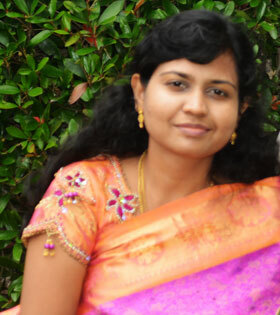 Speaking about fish curry, it is my favorite curry which I didn't get in my hostel life and after marriage in US. Here we won't get all the Indian fish varieties fresh. Normally I use red snapper. But for the recipe here , I have used salmon. Salmon is good for health. My doctor advised me salmon when I was pregnant. Not only during pregnancy, salmon is the best fish variety that is good for all seasons. Coming to the nutritional benefits, salmon is good for heart health. 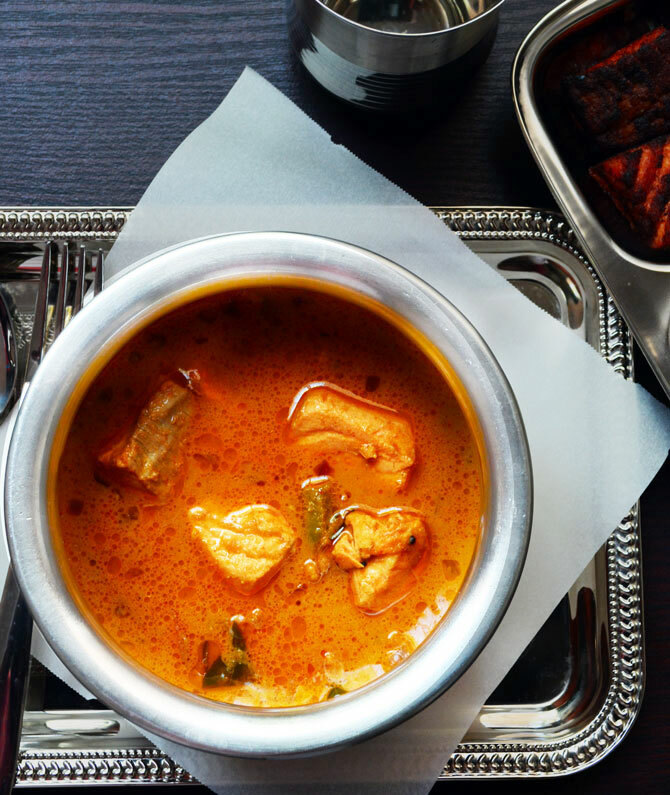 It is an excellnt source of omega-3 fatty acid and Vitamin D.
Fish curry recipe- Fish(salmon) cooked thoroughly with coconut milk and Indian spices. Grind all the ingredients under 'To Grind' to a fine paste. Pour the ground mixture into a cooking pan and addatmarind juice to it. Then add the tomato and mash it with your hands. Now bring the above mixture to boil and once it starts to boil, add green chilly to it and allow it cook for 30 minutes in medium flame. After 30min. add the fish to it. and allow it to cook for 15 min min. in low flame. 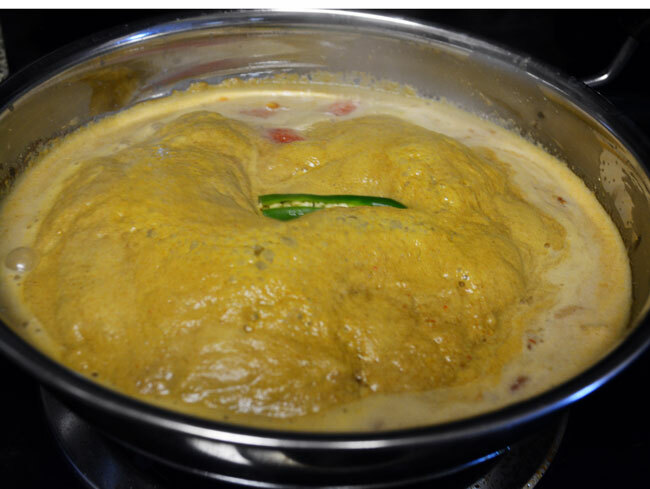 Now temper the items under 'To Temper' in a separate pan and add it to the curry mixture and switch off the flame. 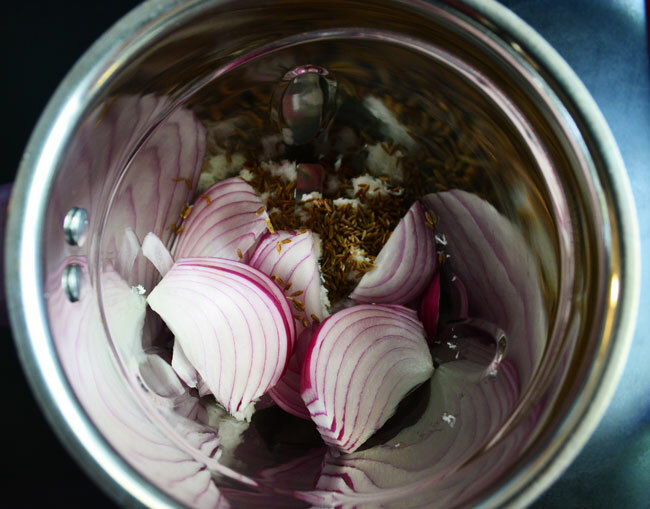 Throw onion, cumin and coconut into the food processor and grind it to fine paste. 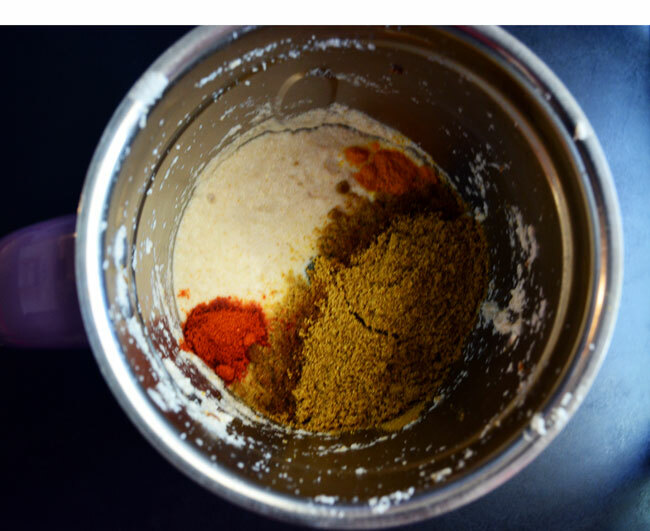 Add coriander powder, turmeric powder and chilly powder into the food processor and grind it together with the onion coconut paste by adding enough water. 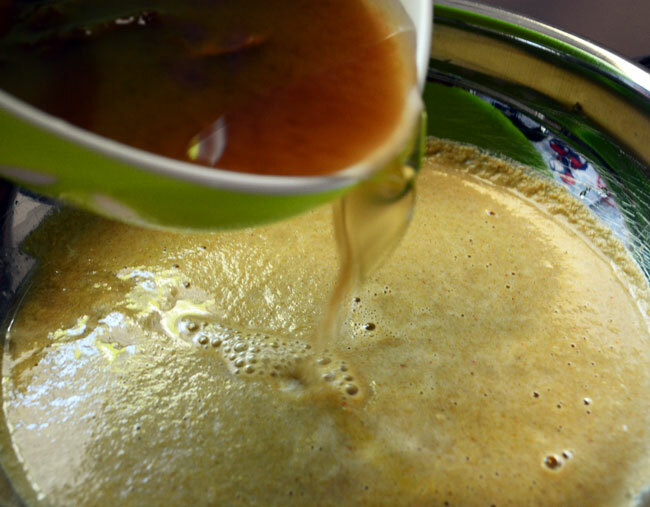 Pour the ground paste into a cooking pan and add tamarind juice to it(Soak the tamarind in hot water to the juice.). Add tomatoes to the pan and mash the tomatoes with your hand. You could grind tomatoes also along with onion. But I would prefer to add it to the paste and smash it. Cook the above mixture and bring it to a boil. When it starts to boil, add green chilly to it. Then allow it to boil for 30 minutes in medium to low flame. 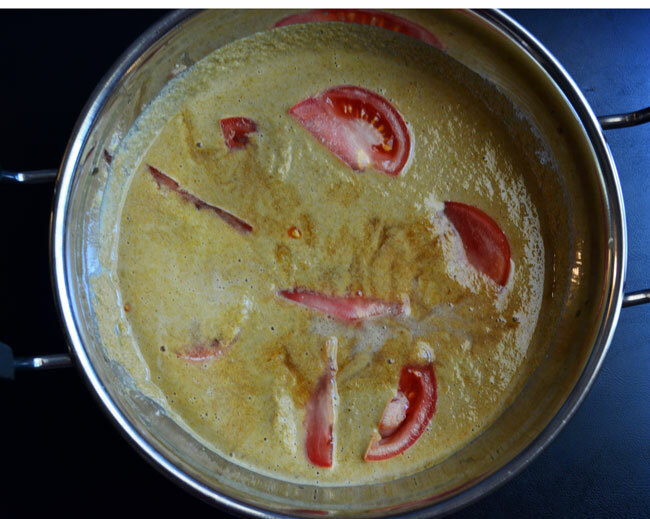 Now the masala would be mixed well thoroughly and you will get the fish curry taste before adding fish itself. Then your curry will taste good. 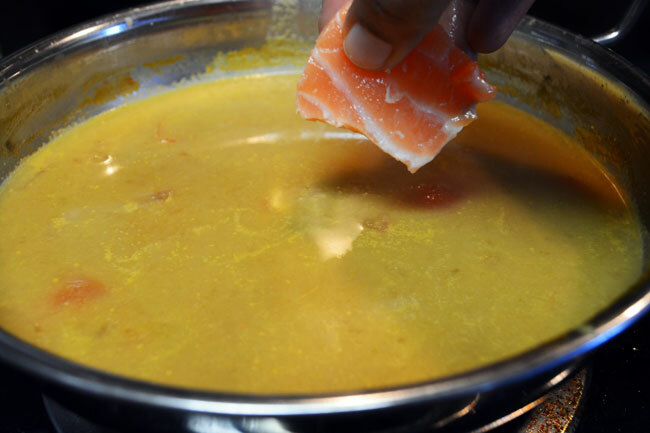 Then add fish pieces to the curry and cook it for 15 minutes in low flame. 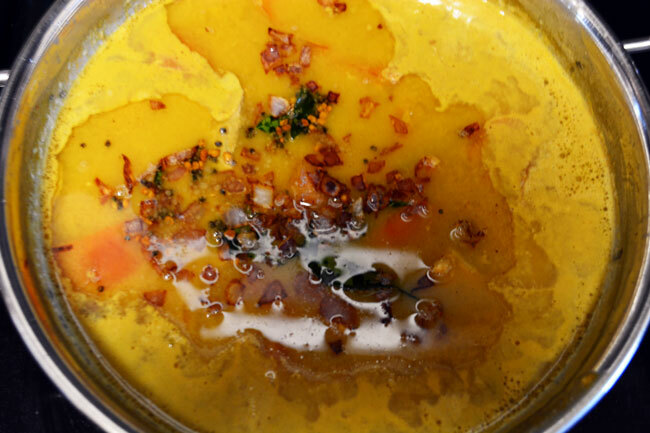 Now finally heat another oil in a pan for tempering and add mustard seeds, and fenugreek seeds, when the mustard splatters add curry leaves and onion. Then add the tempering to the curry. 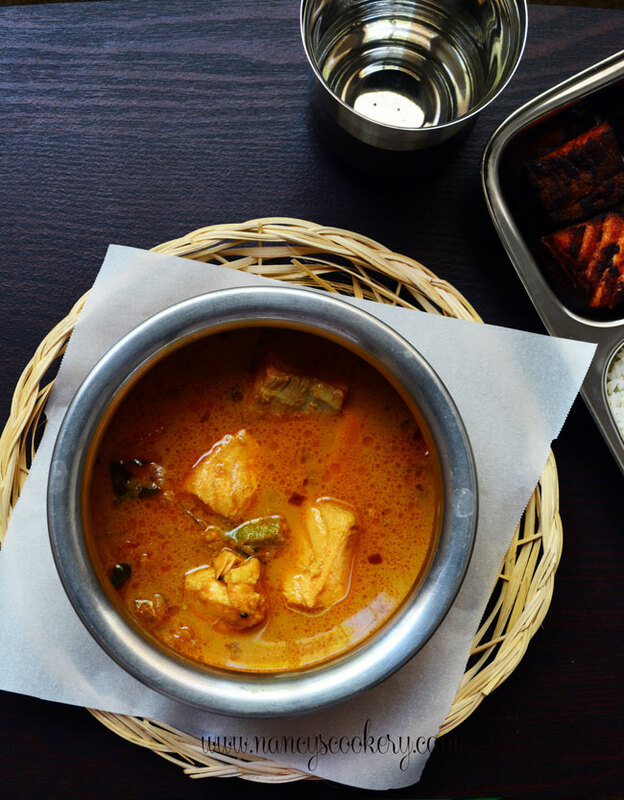 Serve the fish curry with hot rice and if possible along with fish fry. Enjoy your meal. I have sed salmon fish. You can use any fish of your choice. If you use two teaspoon of oil from the leftover oil used for frying fish(without any dregs), it tastes so good. If you want to add less spice for your kid and more spice for you and your spouse, then add less chilly powder while grinding the mixture.. say 1 tsp. And after tempering add your desired extra spice(chilly powder) to the curry and bring it to a vigorous boil and the switch off immediately.